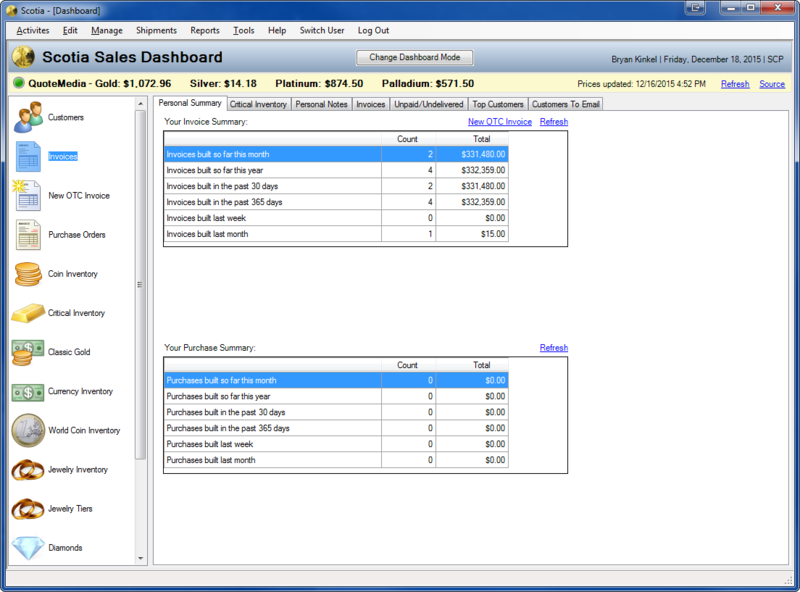 Scotsman Coin was running their business using a custom Microsoft Access application that they had simply outgrown. The application was slow and difficult to maintain. The principals at Scotsman decided they had to develop their own application that could serve. The application had to be "future-proof" as it would be foundation for other technology initiatives. John Woodside, the Vice President at Scotsman, came to Vega Development with his plans for a dream application. His ideas were drawn up in a 29 page document. Vega worked with John to turn his draft into working specification detailing table design, screens, features and functionality. Using the specification as our road map, Vega then build a comprehensive, custom application to handle customers, invoices, purchases, inventory (coin, bullion, currency, & jewelry), online content and reporting. This mission critical application runs just about every aspect of the Scotsman retail store. 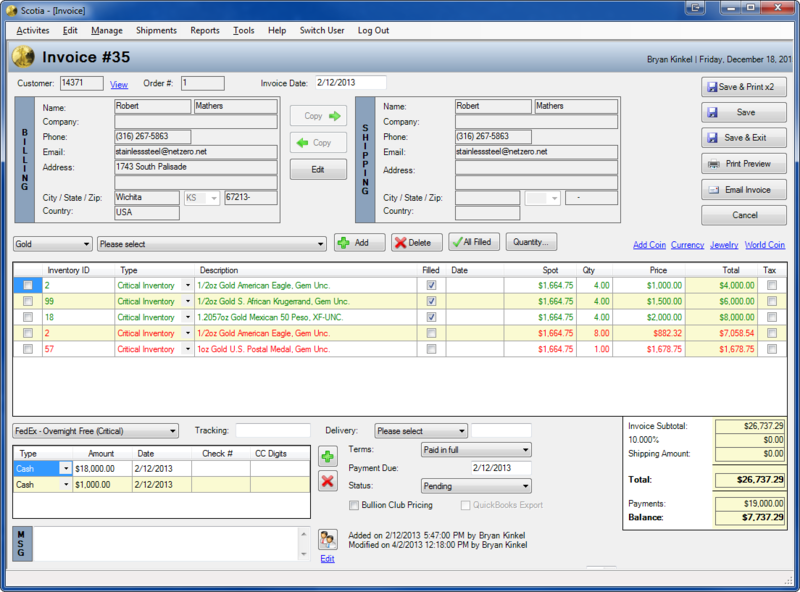 We also built a stand alone application used by Scotsman when purchasing precious metals from a customer. This application checks in the items, gathers weight data from a USB scale, takes an item photo with a USB camera, gathers data off a driver's license via a USB magnetic strip reader and prints out a receipt. 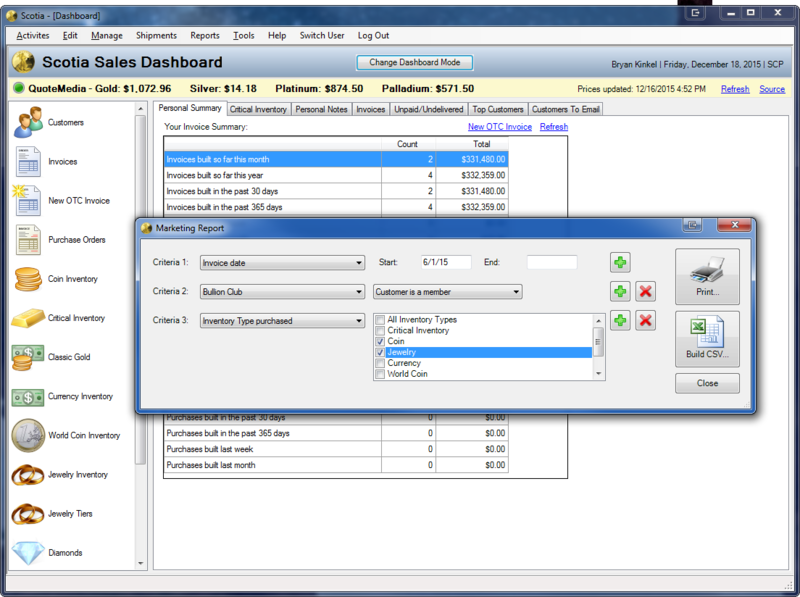 The retail system was augmented in 2015 to handle the auction side of their business. 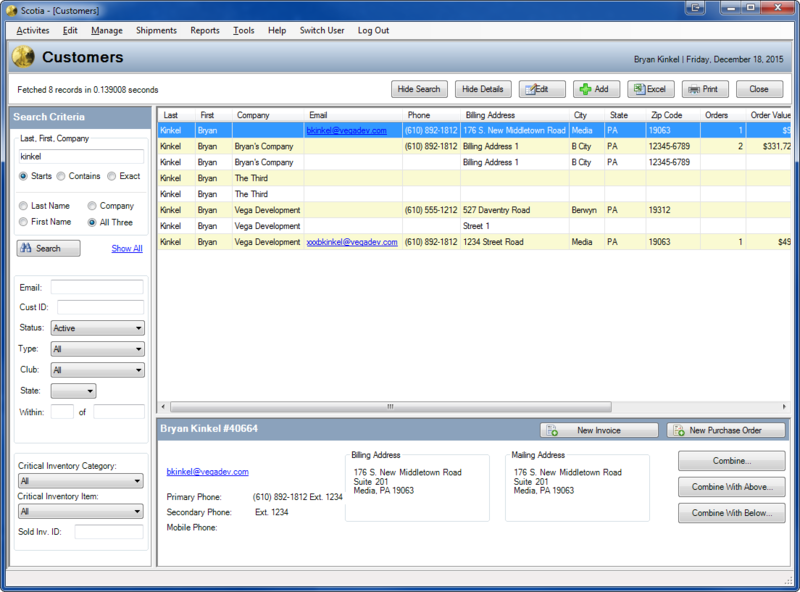 Vega developed software tracks consignors, lots, bidders and their bids. It also produces much of the auction-related content on www.scoins.com.